Animal golf club headcovers are a great way to honour your favourite animal or pet! With a vast selection of animal driver headcovers available here at reasonable prices we are sure you will find the perfect novelty driver headcover within our available selection. Look through our animal headcover collection, add your favourite to your shopping cart then checkout using our secure checkout system. Purchase one or a set of our animal headcovers as a gift, as a golf tournament prize or for yourself today! It will make you all warm and fuzzy inside. Add some fun to your round of golf with our Bowzer and Meowzer animal headcovers. These novelty headcovers will add spice and fun to your golf bag. Add some spice to your golf game with one of our funny golf club headcovers. Novelty driver headcovers are always to the talk of the golf course and the 19th hole. 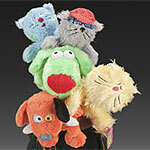 What better way to add some fun to your round of golf than to add an animal headcover to your golf bag. Your driver needs protection from the weather, transportation to and from the golf course and from the other clubs in your bag anyways so why not do it with a fun animal headcover. 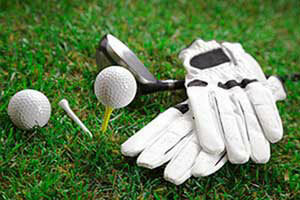 Be sure to check out our other golf accessories and products using the navigation on the left.